Looks every bit as charming as the first game. Guacamelee! 2 will be launching for PlayStation 4 and PC tomorrow, and ahead of that launch, developers DrinkBox Studios have launched a new trailer to commemorate its release. 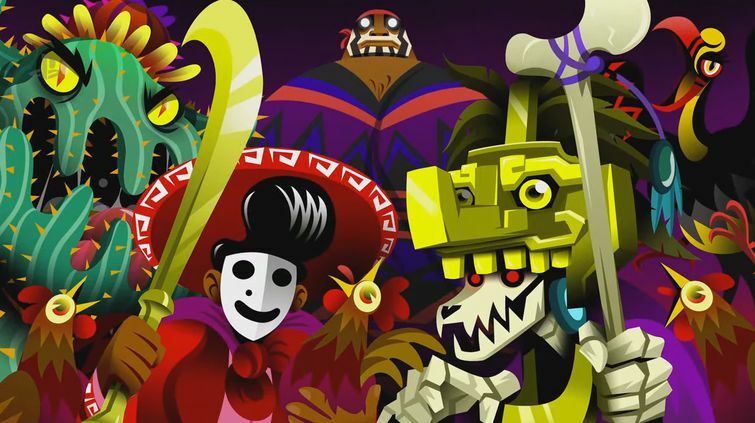 The launch trailer for the game, which you can see for yourself below, shows us the kind of over the top, colorful, and zany Metroidvania action, with its wacky hijinks, that so many people loved in the first game. That same burst of color also ends up giving the game the kind of personality and charm that made the first game stand apart so much, in a sea of similar games released by smaller developers almost all the time now. Of course, it also helped that underneath all that pizzaz, Guacamelee! was a great game to begin with- substance backing up the style. Unlike the original game, which came out on Wii U and Xbox One in addition to PlayStation and PC, Guacamelee! 2 is launching just on the PS4 and PC for now. Who knows, though, much like the first game, it may make its way to other systems eventually.